Our sister organization, the Mississippi Recycling Coalition (MRC), is hosting its annual recycling conference in Ridgeland on Oct. 25. MRC is hosting the conference at Holmes Community College in Ridgeland. The MRC State Recycling Conference draws representatives from local governments, state and federal agencies, universities and colleges, businesses and non-profit organizations (including Keep America Beautiful affiliates!) as well as recycling and solid waste professionals to participate in informative sessions and networking opportunities. As one of Mississippi’s most decorated communities for its great shopping, beautiful green spaces and long-standing commitment to growing recycling, Ridgeland will be a good destination for the one-day conference. The meeting is preceded by a 20-Year Anniversary Celebration Reception on October 24 at Anjou Restaurant. “As the chair of the MRC board of directors, I invite you all of our Keep America Beautiful affiliates here in Mississippi to attend this conference to learn about the latest in recycling,” said Sarah Kountouris, Keep Mississippi Beautiful executive director. Keep Mississippi Beautiful and Keep Flora Beautiful are excited to partner with McKee Foods through the Outdoor Happiness Movement to create Flora’s first public recreation area. The OH! Movement’s support will enable these nonprofits to establish the Elise G. Anderson Walking Park, which will include a quarter-mile walking trail and a children’s exercise area. Keep Mississippi Beautiful and Keep Flora Beautiful, both affiliates of Keep America Beautiful, are preparing for a community workday on May 19, during which volunteers will help build the walking trail and exercise area as well as make other improvements to the site. Volunteers will plant trees, shrubs and flowers, help install the park’s benches and picnic tables, and clean up litter. The event runs from 8:30 a.m. to 1 p.m. and closes with an appreciation lunch for volunteers. The event begins at the gazebo on the Veteran’s Memorial located on Main Street. Volunteers can sign up and learn more here: www.keepflorabeautiful.eventbrite.com. This volunteer event is part of the Great American Cleanup State, the nation’s largest community improvement program, taking place in some 20,000 communities nationwide. McKee Foods, a privately-held company based in Collegedale, Tenn., recently selected this project for a grant through the OH! Movement. People interested in learning more about the movement can visit OutdoorHappinessMovement.com to hear about upcoming projects across the U.S.
Keep Mississippi Beautiful and Keep Flora Beautiful are looking for volunteers to help create Flora’s first park, clean up litter and make other community improvements on May 19. The Great American Cleanup State Kickoff event is part of the nation’s largest community improvement program, taking place in some 20,000 communities nationwide. Most of the work will focus on the new Elise G. Anderson Walking Park, which will be the town’s first public recreation space. Volunteers will plant trees, shrubs and flowers, help install the park’s benches and picnic tables, and clean up litter. Flora citizen John Anderson donated the land, and the park will be named in honor of his grandmother, Elise G. Anderson. The property boasts century-old pecan trees, and it will have a new walking trail and playground equipment. 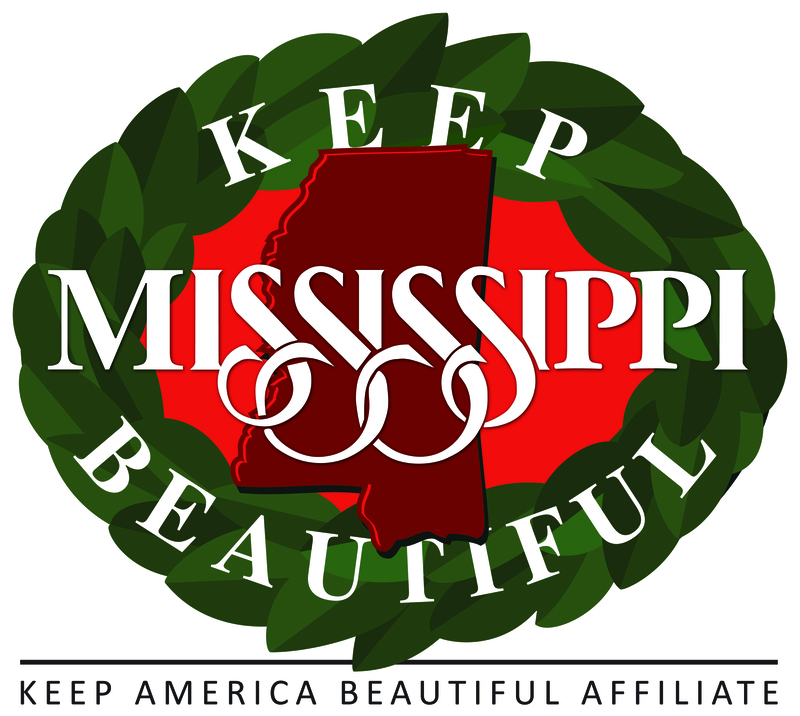 Affiliates of Keep America Beautiful, including Keep Mississippi Beautiful and Keep Flora Beautiful, rally together millions of volunteers each year through the Great American Cleanup. Learn more about the Great American Cleanup: https://www.kab.org/our-programs/great-american-cleanup. Evelyn Copeland (right), Keep Simpson County Beautiful affiliate director, received the Sue Smith Leadership Award. Braxton resident Evelyn Copeland received a prestigious leadership award from Keep America Beautiful, one of several Mississippians the organization recognized last week at the national conference in Washington, D.C.
Copeland, affiliate director of Keep Simpson County Beautiful, received the Sue Smith Leadership Award for her dedication and service to litter prevention, beautification and recycling efforts across Simpson County. She is the fifth Mississippians to receive this award over its 26-year history, including Keep Mississippi Beautiful’s Sarah Kountouris, who received it last year. Becca Blair (left) received the Youth and Education Award. Becca is one of the youngest volunteers of Keep the Rez Beautiful, which received the Award of Excellence. Copeland joined the group in 2008. Since then, it has created a number of community gardens and parks as well as created the first roadside wildflower project on a U.S. highway in Mississippi. Becca Blair, who received the Youth and Education Award for her contributions to the Ross Barnett Reservoir community and Keep the Rez Beautiful. The 9-year-old started a recycling program in her neighborhood, which has recycled 3,000 pounds of materials since March 2016. She has also volunteered on numerous occasions with Keep the Rez Beautiful, her local affiliate. Keep Mississippi Beautiful, which received the Innovation Award for the Wildflower Trails of Mississippi project. Since 2015, the project has established 22 plantings along roadways and in other public places, harnessing the many benefits of wildflowers, including improved pollinator habitat, more beautiful places and roadside maintenance benefits. Keep the Rez Beautiful, which received the Award of Excellence for its Great American Cleanups (both on the land and in the water), beautification efforts and many other programs. Mississippi Department of Transportation, which received the State Agency Partnership Award for its ongoing support of the Keep America Beautiful network in Mississippi. More than 22 Mississippi communities were represented at the Keep America Beautiful conference. That’s got to be a record! Hi fellow cleaners and greeners! Did you catch our Clean and Green Mississippi – December Update email? If not, you can check it out here: http://eepurl.com/ctJ1Hz. In the email, you’ll find out about some of the wonderful work of our affiliates across the state, including Keep Simpson County Beautiful’s new community improvement project and Keep the Rez Beautiful’s star volunteer, Becca Blair. Also, in there, we’re showing off our holiday logo (to the right), which clad with magnolia leaves. If you’re not on our email list, sign up here: http://eepurl.com/DJ95P. The Mississippi Recycling Coalition (MRC) is offering up to $10,000 in grants to schools to support new or expanding recycling programs. Both $500 and $1,000 grants are available to public and private K-12 schools in Mississippi. This grant program supports the mission of MRC, a non-profit organization that works to promote and grow recycling efforts in the state. Applications are due Tuesday, December 20, 2016. Mailed applications should be postmarked by that date; faxed and emailed applications should be submitted by 11:59 p.m. Learn more by visiting MRC’s webpage.